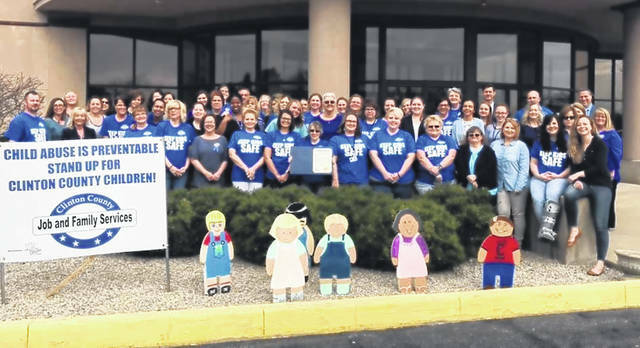 Clinton County Job and Family Services and the Board of Clinton County Commissioners recognized Child Abuse Prevention Awareness Month and Wear Blue Day on Wednesday, April 10. The staff is grateful for community support and care for children who are abused and neglected. The Child Protection Unit and all departments of Job and Family Services support children and families with the help of community partners to keep kids safe in Clinton County.